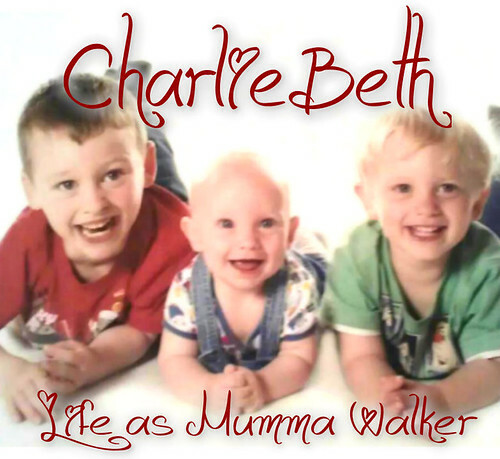 Mumma Walker's 7 Years of Pregnancy by CharlieBeth: Secret Diary Post - Scan Day! Secret Diary Post - Scan Day! This is amazing! There really is nothing quite like the first scan. The first time you see your baby, even if it is on a screen and not for real and face-to-face.... there is still something so special about it. With my three boys I had always used a pregnancy test on the morning of my first scan. Just in case, you know? Just in case I was wrong, and I wasn't pregnant at all. Just in case it was my mind playing cruel tricks on me. This time I didn't. This time I was scared in case is was negative instead of paranoid that it might be. I was working today so just before 11.30 I left work and went to fetch hubby - he was working too but at least that meant my Mum already had George, and Tom too who had been sent home from nursery sick. We arrived just before our appointment time of 12noon and got seen about 20 past. We were the last on the list! The sonographer thought she'd finished and then found us sat waiting, but she was lovely so it wasn't a big deal. It took her a moment to find our little Bean (down side of still being quite overweight I guess, more of me to search through) and when she did I couldn't help but get worried when I saw no movement. But Bean must have just been sleeping because after a bit of a prod there was a shuffle and we saw the heart beat! Hubby made a noise that was kind of a gasp, kind of a sob... I think he'd been holding his breath same as me. She took all the measurements and did all the checks she needed to do. bean is measuring 10 weeks and 1 day (I thought 9 weeks and 5 days so that's not bad) and we have an estimated due date of August 17th 2014! I dropped Hubby back at work and then went back to my office. I showed my manager and the boss's wife my scan photo. As you all know my manager already knew, but the boss's missus didn't! She suspected though, and had kept on asking me saying she said I looked pregnant in my face! I wanted to show the lady from Sales too - who had also sussed me out weeks ago - but she's on holiday till next month. They are under strict instructions not to say anything on line until we've told the in-laws, which will be the first weekend in Feb. When I got home Hubby agreed I could tell the kids. Jack is over the moon! Tom is pleased and hopes it's a brother. Georgie is playing along - he's not even 2 yet so who knows how much he understands - but we showed him the baby in the scan photo and told him that baby is in my tummy, and that he will be a big brother this summer. He says "baby... inside" and points to the picture and then my belly so he's on the right track!